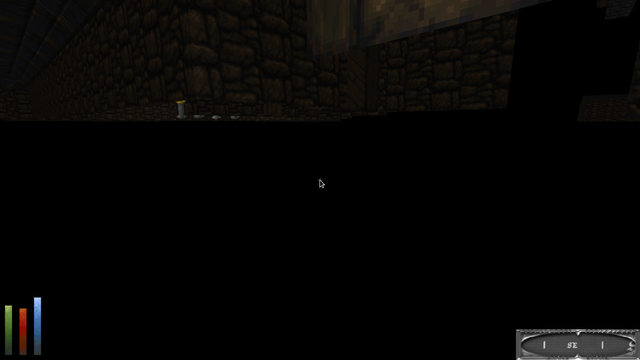 Right next to the exit, there's an entire dungeon block that has no collision. If I step through this door, I fall into the void. I also tried the Teleport command, and it brings me up to level but I fall right through again, even in the following hallways. Monsters remain at their proper elevation and do not fall. I believe this might be related to a rare-ish Unity engine bug where the player's character controller stops colliding with random other colliders. If you return to this same spot again in another session, it should work normally. The problem in question should be resolved in 5.6 or greater, but I have some other problems to solve before I can move up baseline engine version. This is something I'll give more priority once main quest playthrough supported. Yes, I returned afterwards and the issue was gone. I'll leave this as unresolved for now, at least until you can do what you're planning to. DF Unity's Unity version has been upgraded so this should be resolved now, right? Yep this one should be resolved now.